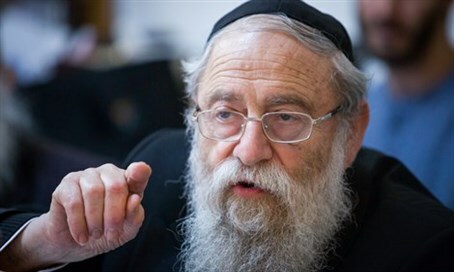 The Chief Rabbi of Jerusalem, Rabbi Aryeh Stern, has called for an ‘independent inquiry’ to ascertain the claims made that Israeli Security Agency (ISA, also known as the Shin Bet or Shabak) tortured suspects in the Duma arson case. According to the suspects' lawyers, their clients' confessions were elicited by torture and therefore invalid as evidence. Rabbi Stern met with family members of the suspects, some of whom were released after it was discovered that they had nothing to do with actions in Duma. However, in spite of their innocence, they claim to have undergone very harsh interrogation tactics. Rabbi Stern listened to the claims of what their family members went though. During the meetings a member of the legal defense organization Honenu, which is representing the suspects, was present.